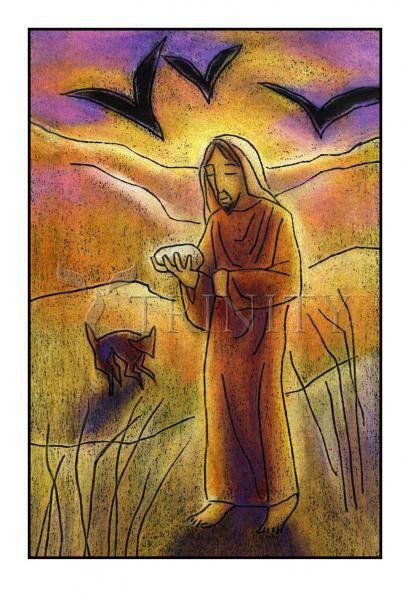 Then Jesus was led by the Spirit into the desert to be tempted by the devil. After fasting forty days and forty nights, he was hungry. The tempter came to him and said, "If you are the Son of God, tell these stones to become bread." Again, the devil took him to a very high mountain and showed him all the kingdoms of the world and their splendor. “All this I will give you," he said, "if you will bow down and worship me." "Come, follow me," Jesus said, "and I will make you fishers of men." At once they left their nets and followed him.